BT is to include Amazon Video as part of its TV offering as it pivots its fixed broadband service to become part of a “converged network division” under new consumer business CEO Marc Allera. In addition to the Amazon Video app BT said it would make Sky’s Now TV available to TV customers from next year. The addition of Amazon’s offering makes BT the first UK service provider to embrace the e-commerce giant’s Prime Video service, allowing users to access TV series and movies including originals and exclusive series such as The Grand Tour, The Marvellous Mrs Maisel and Vikings. Service providers have hitherto shied away from doing deals with Amazon to integrate Prime Video, viewing Amazon as more of a potential competitor in pay TV than a partner. Amazon’s interest in packaging live channels and in acquiring some sports rights set it apart from Netflix, which has increasingly been seen as a complementary service to traditional pay TV. The new BT TV app will also allow customers to download and play content on the move for the first time. In addition to BT’s set-tops, the app will be available on platforms including Samsung Smart TVs, Apple TV and Google Chromecast. 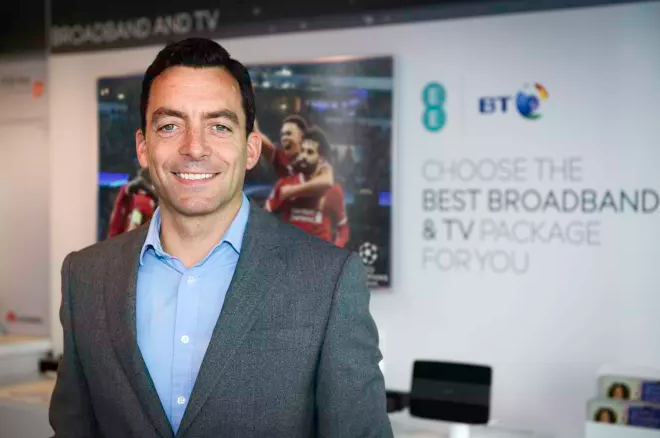 EE customers will also be able to view BT Sport app features including the ability to cast direct from their mobile to their TV with inclusive data for the first time from the start of the forthcoming football season. EE will also offer Google Chromecast and Apple TV support, enabling customers to share content from their mobile to the big screen. EE customers will also be able to access a range of new mobile TV experiences throughout the year. BT’s new consumer unit, which will comprise BT, EE and low-cost broadband service Plusnet, will offer new converged products encompassing mobile, broadband and Wi-Fi. These will include BT Plus, a single converged package including broadband, mobile and Wi-Fi. EE will also offer a range of converged products, including a hybrid home broadband offering that combines fixed broadband with 4G to give what BT described as consistent and reliable speeds. The converged network is scheduled to be complete by 2022, offering broadband speeds of up to 314Mbps to additional homes, with a minimum speed guarantee of 100mbps EE will offer ultra-fast broadband from this summer. The telco has also committed to extend the availability of 4G and to make 5G connectivity available, as well as launching more public Wi-Fi hotspots. “BT runs the UK’s most advanced mobile and broadband networks, but our customers demand better connections, and the best service no matter where they are. We’re investing across BT, EE and Plusnet so that we can provide our customers with the widest choice of products and services, on the best networks, and with the best service in the UK,” said Allera. The raft of announcements come after BT reported disappointing Q4 results, including a loss of 16,000 TV subscribers, and revealed a plan to cut costs by reducing its headcount by 13,000 people at a cost of £800 million. Commenting on the latest moves, Paolo Pescatore, VP of multiplay and media at CCS Insight, highlighted the relevance of the Amazon partnership for BT’s TV offering. “Arguably, the biggest partnership announcement is with Amazon. BT will be the first UK telco to offer Amazon Prime video to its customers. The move to support Amazon Prime video positions BT TV as an aggregator of content services including Netflix and Now TV from next year. We believe that this will turn around its fortunes given that BT TV has recorded losses for the last two quarters and subscriber growth over the last couple of years has been lacklustre,” he said. Pescatore also said that BT’s new consumer unit was “very well positioned to be a leader in the changing UK multiplay market” but noted that much work still has to be done to deliver on the promise of a “single smart converged network”. He said BT Plus was “a modest start” to building a converged play, with more competitive offerings likely to emerge. Nevertheless, he said, the package represents “the UK’s first fully converged offering”.